One of the best things about this year of personal discovery into British wool – besides the wool itself – is meeting other people who also love British wool! 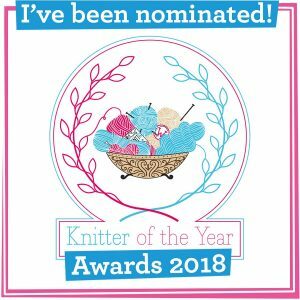 Linda from Made by Ewe got in touch recently to tell me all about her adventures in local fibre and as soon as I saw her delightful kits I knew that I had to ask her over to KnitBritish for a little visit. Tell us a little bit about how Made by Ewe came into being. I have been crafting ever since I was little. 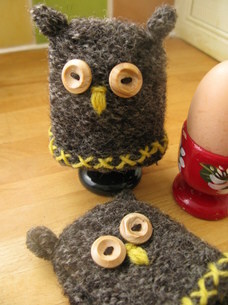 I remember the best birthday presents always being some kind of ‘things to make’ kit. 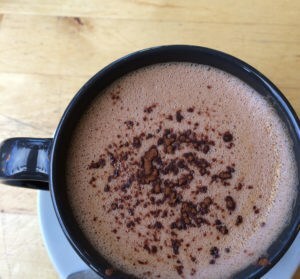 Every year I decided people in the family had to have one home-made present as well as one shop bought present – the ultimate Christmas stress. My younger sister was treated to years of my attempts to recreate the lovely Jean Greenhowe dolls featured in the Women’s Weekly magazine – they were truly horrendous recreations but I enjoyed making them so much that I didn’t really notice if she didn’t like them! I had a business for a few years in the early 1990’s designing handknitted children’s jumpers and then I didn’t really do much knitting again until 2010. I remember looking in the shops at the knitting kits available at the time and being disappointed by the quality of yarn included with the kits – mostly cheap and nasty acrylic, enough to put anyone off knitting for life! So I decided to create some kits of my own, using lovely pure British wool yarn. I put up a few for sale on etsy and was amazed when they started selling. I gradually designed more kits and set up the made by ewe website, blog, facebook page etc, and year on year the business continues to grow. I now supply a few shops too, which is very exciting, thinking of the kits sitting on shop shelves all over the country. Your kits are really delightful and each definitely has its own unique character- where does your inspiration come from? No doubt that influenced a general liking for sheep and the idea that their fleeces come off. Some of my customers have knit the entire range of sheep kits and they like them because the fleeces use different knitting stitches – cables, lace work etc – and they are small enough to practice the techniques without committing to a big project. Everything inside the kit is truly British from stitches to stuffing. Tell us a bit about the breeds you use and how important it is to use British wool. It is absolutely essential to me that all of the yarn in the kits is British. There is so much lovely yarn in this country, as you know, so why would you want to use anything else? I like to know that the yarn I buy is supporting British farmers. I also try to use as many other British things as possible – the stuffing is fleece from British sheep and the new tube packaging is made in Britain. The knitting needles are purchased from a British maker too. The kits contain yarn from different breeds – mainly Shetland, Bluefaced Leicester, Gotland, Herdwick, Wensleydale at the moment. 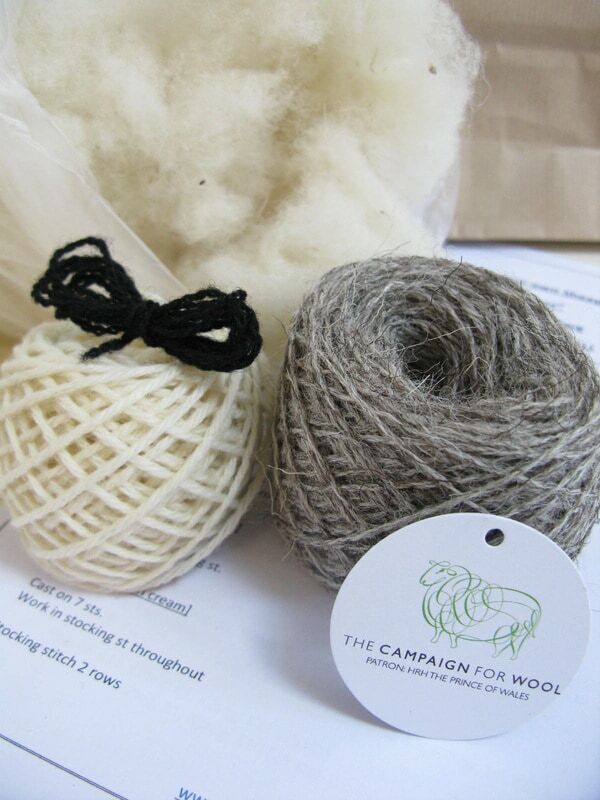 The Gotland wool is local to me, from a farm in Hampshire. I only have a small amount as it is quite expensive and it is very hard not to use it all up myself! And you are also a partner in the Campaign for Wool, too! Finally, you have a lovely range of British yarns in your shop – do you have any favourites that you like to work with? I have lots of favourites and, as I mentioned before, it is difficult keeping my mitts off the stock! The Erika Knight British Blue balls of yarn are so soft and squishy, and the beautiful colours in the Jillybean skeins make me want to unwind them and start knitting to see how they look when knitted up. The British Naturals is lovely and earthy and felts beautifully so I am having a lot of fun experimenting with that. I also have a special skein of Skein Queen 4ply sock yarn in autumny browns and golds secreted in my stash, which is waiting to be turned into a shawl during my summer holidays. The kits – featuring sheep, bunnies, owls, teddies or teacozies – have wide appeal for new knitters to more experienced and I just know that younger knitters – or recipients of the finished item – will love that they can change the sheep or bunny’s clothing. Scope to create more fleeces and clothes for them…in British wool, of course! Thanks so much to Linda – her love for British wool is really inspiring. 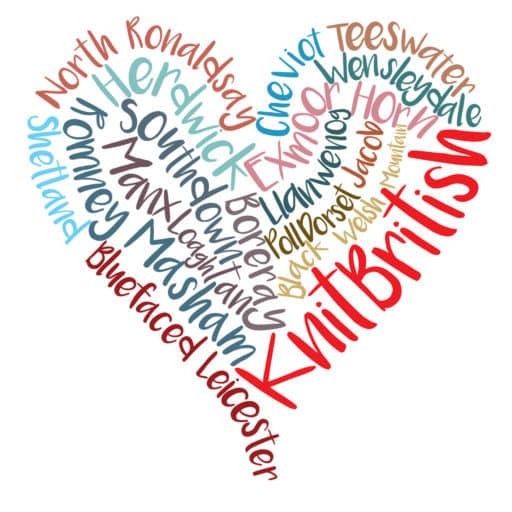 It is wonderful to see that home-grown fibre is being promoted and used in such a fantastic way in the kits, but don’t forget that everything in Linda’s shop is British! I am coveting these lovely and exclusive needles! The kits are priced from £5 to around £10 and yarns start from under £3. 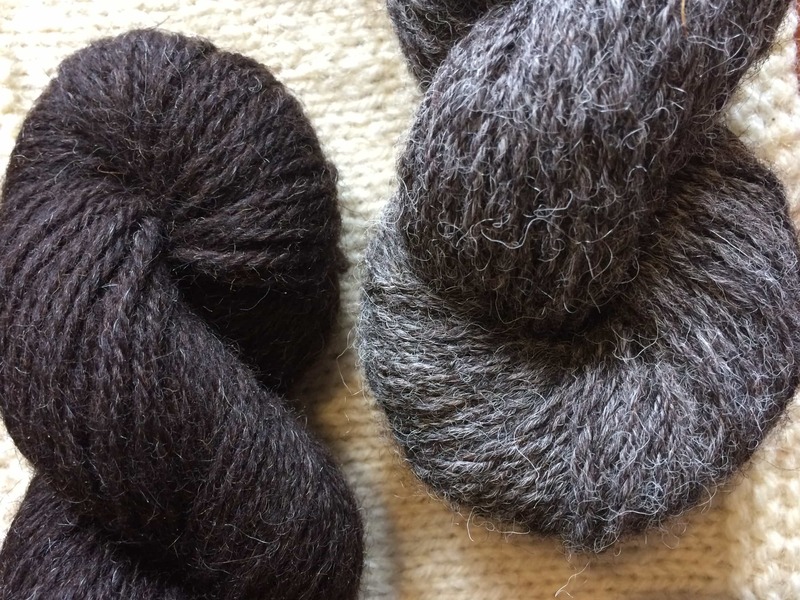 All of which confirms that which I have blogged about a few times before – you can get top quality British wool products which do not cost the earth! 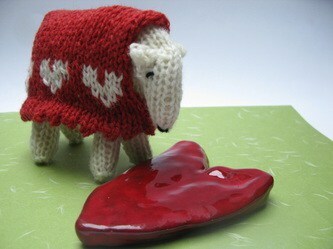 Please do pop along the Made by Ewe shop: and you can also subscribe to Linda’s blog too. Like Linda, as a child I loved getting those kits for Christmas and this year I will definitely indulge in a bit of my own personal nostalgia and give some of Linda’s kits to my neblings! Hi Judith, thanks for stopping by. The sheep are just gorgeous aren’t they? They are only available in kits as far as i can see, but you might contact Linda and see if she has any plans to publish the patterns separately.